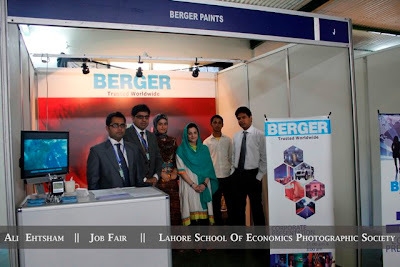 The Lahore School of Economics is holding its Seventh Annual Conference on the management of the Pakistan Economy from May 4th - May 6th at the Burki campus. The theme of this year’s conference is “Financial Sector Development and Management’. The conference will bring together a group of distinguished researchers and policymakers from across Pakistan and internationally. The underlying objective of the conference is to promote discussion on key policy issues in financial sector development and in macroeconomic management. The conference will be opened by Dr. Shahid Amjad Chaudhry, Rector Lahore School of Economics. Mr. Shahid Kardar, Governor State Bank of Pakistan will deliver the inaugural address. Researchers from PIDE, Quaid-e-Azam University, NUST, IBA Karachi, IBM Karachi, LUMS, Lahore School of Economics as well as a number of international universities will be participating in the conference. The conference will span three days and consist of five sessions. The first session will cover matters concerning macroeconomic management and the role and effectiveness of instruments of fiscal and monetary policies in controlling inflation while ensuring growth. The second session will include papers that evaluate the impact of financial sector reforms on the efficiency and effectiveness of financial intermediation and in reducing financial repression. The issues of the linkages between financial sector performance and monetary policy will be the focus of the third session, while capital markets, their governance and performance will be discussed in the fourth session. The last session will bring together a group of international academics to discuss development experiences in other growing countries and their relevance for Pakistan. It is hoped that the papers presented at the conference and the discussion will help shed light on the policies and practical measures that will enable the country to develop an effective monetary management system and an efficient and inclusive financial sector, for supporting sustainable growth in the future. As the global economy recovers from the worst financial crisis since the Great Depression, the growth in smaller South Asian economies maybe impacted by a drop in migrant remittances which are a most important source of external inflows. In 2008, remittances as a percentage of GDP in Pakistan (4.20%), Bangladesh (11.40%), and Sri Lanka (7.20%) exceeded official development assistance by more than four times, and financed a significant portion of the current account deficit. In this research initiative, sponsored by the South Asia Network for Economic Institutes (SANEI), a team of researchers from the Lahore School of Economics investigates empirically the effects of the global financial crisis on remittances growth and national income, and the impact of remittances on household poverty in these three economies. At the macro-level, an empirical analytical framework is developed to estimate the potential impact of a drop in the growth rates of advanced and Middle Eastern economies (which are the major sources of remittances to South Asia) on remittances originating from these economies and the income of the remittance-receiving country. At the micro-level, the effect of remittances on the incidence and depth of poverty is estimated using household-level data. In Pakistan and Bangladesh, remittances seem to be motivated primarily by consumption, and a slowdown in the growth rate of advanced and Middle Eastern economies is predicted to have a negative effect on remittances growth in the coming years. Using the average growth rate over 2003-07 as a proxy for the growth rate without the crisis, based on the empirical analysis, the growth rate is expected to decline to an average of 7.25% and 17.67% for Pakistan and Bangladesh respectively for the period 2010-12. The impact on flows to Sri Lanka is the smallest where a decline of about 1.75 percentage points is predicted over the period. This is attributable to what appears to be other factors also playing a part in remittance flows rather than just purely altruistic motives of migrants. How will this slowdown in remittances affect these economies? Estimates from the dynamic structural Keynesian model show that the short-run (1 year) yields an estimated decline of 0.4 percentage point in GDP growth for Pakistan, 0.87 for Bangladesh and 0.3 for Sri Lanka. The impact of the economy is also traced through the expected change in unemployment rates through the use of employment elasticity (elasticity of people employed to GDP) for these countries. The resulting impact is in the same order as the impact on GDP and remittances, with the impact on Bangladesh being the largest with a predicted increase in the unemployment rate of 0.7 percentage points, 0.26 in the case of Pakistan and a mere 0.06 for Sri Lanka for the period 2010-12. As a supplemental exercise, the effect of remittances on household poverty at the micro-level is also estimated using the Multiple Indicator Cluster survey (MICS) data for the province of Punjab. Using the predicted counterfactual income of the remittance-receiving households, poverty and inequality measures such as the headcount ratio, poverty gap, and the Gini inequality coefficient for the remittance and the non- remittance receiving groups are calculated. To overcome the problem of likely self-selection into migration, propensity score matching is also used to better match remittance and non-remittance receiving households on observable characteristics. Across these two different methodologies, there is robust evidence of a 13-15% decline in the incidence of poverty among households receiving remittances. This translates into a 50-60% reduction in poverty for remittance-receiving households based on the national poverty line estimate of 24%. With the estimated decline in the growth rate of remittances to 7.25% after the crisis, the proportion of households in receipt of remittances in Punjab will be 4.4% as opposed to 4.5%, given the 2007/08 baseline. Given this nominal change, in the overall distribution of households in receipt of remittances, resulting from changes in the growth rate of remittances, any impact of financial crisis on provincial and national level poverty rate is limited and is likely to be statistically indistinguishable from zero in a more structured computational general equilibrium model of the economy. 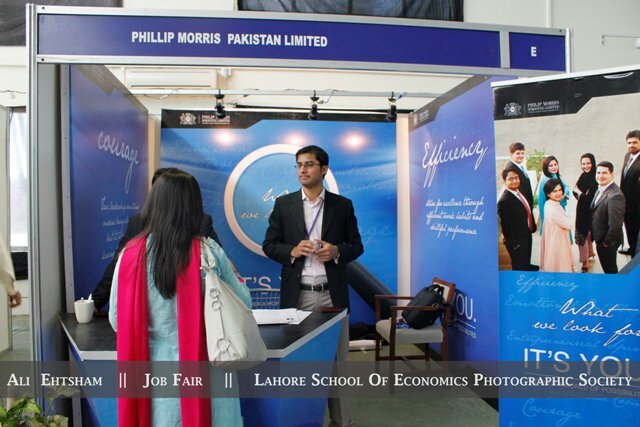 Lahore School of Economics is having its seventh annual conference on the Management of the Pakistan Economy on May 4-6, 2011 at Burki Campus, Lahore. Theme this year is Financial Sector Development and Management. Welcome by Dr. Shahid Amjad, Rector Lahore School of Economics followed by inaugural address by the Chief Guest, Mr. Shahid H. Kardar, Governor State Bank of Pakistan. “A Reconstruction of the Performance of Political Economy of Pakistan: Another Paradigm” by Inayat Ullah Mangla (Western Michigan University, Michigan). “Government Budget Deficit and Developments of Bond Market in Pakistan: Issues and Challenges” by Jamshed Y. Uppal (Catholic University of America, Washington D.C.). Round up and concluding remarks by Session Chair Naved Hamid (Lahore School of Economics). “Impact of Bank Governance on Bank Performance in Pakistan” by Abid A. Burki and Shabbir Ahmad (Lahore University of Management Sciences, Lahore and University of Queensland, Australia). “Asset-Liability Management and Interest Margin of Banks” by Idrees Khawaja (Pakistan Institute of Development Economics, Islamabad). “Liberalization of the Capital Account in Pakistan” by M. Ashraf Janjua (Institute of Business Management, Karachi) . Round up and concluding remarks by Session Chair: Riaz Riazuddin (State Bank Pakistan). “Macroeconomic Activity and Economics of Inflation: Rules vs. Discretion” by Athar M. Maqsood and Wasim Shahid Malik (NUST University, Islamabad and Quaid-a-Azam University, Islamabad). “Debt-Deficit and Growth Nexus: A Quantitative Analysis For Pakistan” by Eatzaz Ahmed (Quaid-a-Azam University, Islamabad). “Impact of Monetary Policy on Banks’ Lending and Deposit rates in Pakistan: an Empirical Analysis” by Hasan Mohsin (Pakistan Institute of Development Economics, Islamabad). Round up and concluding remarks Session Chair: Hafiz A. Pasha (Beaconhouse National University). “What we can learn from by comparing Indonesia and Pakistan’s institutional reforms over the past decade? What does this mean for foreign direct investment and domestic entrepreneurship” by Edward Buckingham (School of Oriental and African Sciences, University of London). Is service sector growth an alternative paradigm of economic development? Lessons from India and what Pakistan can learn by Samina Dossani (School of Oriental and African Sciences, University of London). Understanding regional economic growth in India. Some lessons for Pakistan by Danisha Kazi (School of Oriental and African Sciences, University of London). Roundup and concluding remarks by Session Chair: Azam Chaudhry (Lahore School of Economics). Lahore School of Economics, Placement Department organized its job fair on April, 4, 2011. Eleven leading companies Standard Chartered Bank, Nestle, Phillip Morris Pakistan Limited, Packages Ltd., Schazoo Zaka Pvt.Ltd., Habib Bank (HBL), Coca-Cola Beverages Pakistan Limited, CCL pharmaceuticals, Berger, Samba Bank, H Sheikh Noor ud Din and Sons participated in the fair, offering jobs in various fields. In addition to on-the-spot interviews and tests, talks by company representatives were conducted throughout the event to help participants better understand the needs of the employment market. Students were also offered internships and jobs based on these tests and interviews, on the spot, making this event a major success in serving its purpose. Mr. M. R. Mehkari, President Askari Bank was the chief guest. He appreciated the quality of students at the Lahore School and announced scholarships to three MBA students. The seminar was attended by the deans, faculty members and a large number of students. 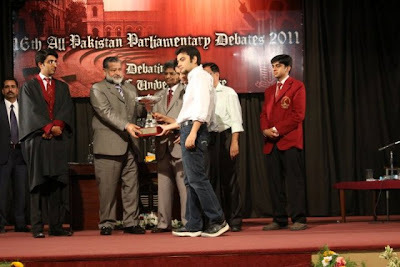 The Lahore School participated in the 16th annual GCU Parliamentary Debating Championship held from March 17 – 21, 2011. The Lahore School was represented by four teams all of whom managed to break into the semi finals with two teams managing to break into the grand final. The Lahore School’s team D (Shahraiz Chisthi and Zarak Shah) won the competition whereas team A (Wasae Imran and Shahzeb Rathore) finished as runners in the competition. 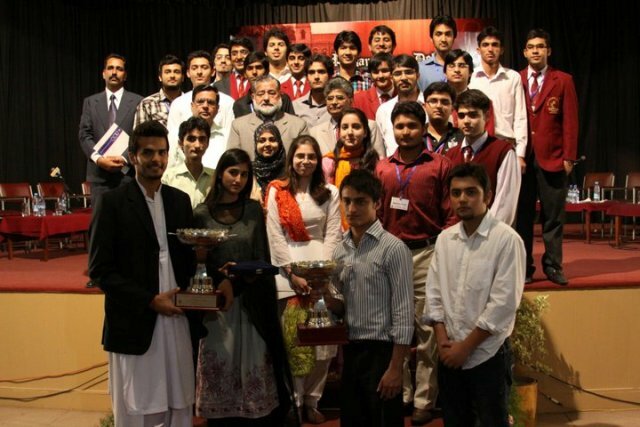 Team B comprised of Xenia Rasul and Zain Haider and team C comprised of Hamza Naseem and Shahzeb Irshad.